Merchants, community leaders and Austin residents gathered in the 5800 block of West Chicago Avenue last weekend for the third annual Juneteenth Festival, celebrating the day slaves in Galveston, Texas, learned of the Emancipation Proclamation. The festival kicked off Friday afternoon with community organizations, such as Austin Coming Together and Sankofa Cultural Arts & Business Center; as well as merchants Parijone` Designs and Coca-Cola giving away or selling goods and services ranging from African sculptures and food to body oils and clothing. Vendors from local businesses came out to both sell their products to the community and support it. On a rainy Saturday afternoon the Juneteenth parade – which featured MacArthur’s Restaurant, the DuSable Museum of African-American History, Because I Care Inc. and Miss Black Illinois Cortnee Smith among others – winded down Chicago Avenue behind the trumpeting and thumping sounds of local marching bands. After the parade, West Siders gathered in front of the main stage to hear speeches from community leaders. A tree was also planted in honor of Rev. Lewis Flowers, chairman of the Westside Ministers Coalition, who died in December. Malcolm Crawford, co-owner of the Sankofa Cultural Arts & Business Center, presented Al Wysinger, first deputy of the Chicago Police Department and grand marshal of the Juneteenth parade, with a community service award from the Austin African-American Business Networking Association for his leadership and commitment to the Austin community. 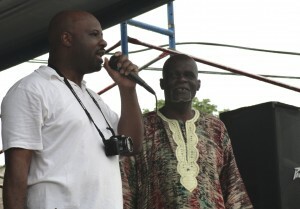 Juneteenth organizers Malcolm Crawford of Sankofa (left) and Rickie Brown of West Side Historical Society. 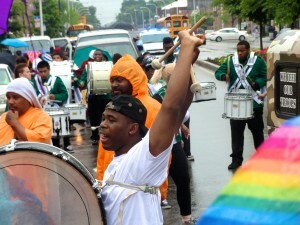 Performers throughout the three-day festival ranged from poets and rappers to gospel singers and dancers. Janecia Williams, a 14-year-old performer who recited “So What If I’m a Black Woman” by an anonymous poet Saturday afternoon, said she wanted to perform for a crowd and liked the event celebrated African-American culture. After the service, pastors from several local churches, community leaders and residents gathered to remember Heaven Sutton, a 7-year-old girl who was killed in Austin last year. 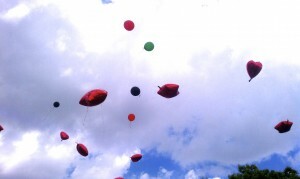 To honor Sutton’s memory, community members released red balloons into the sky and Heaven’s mother, Ashake Banks, spoke. 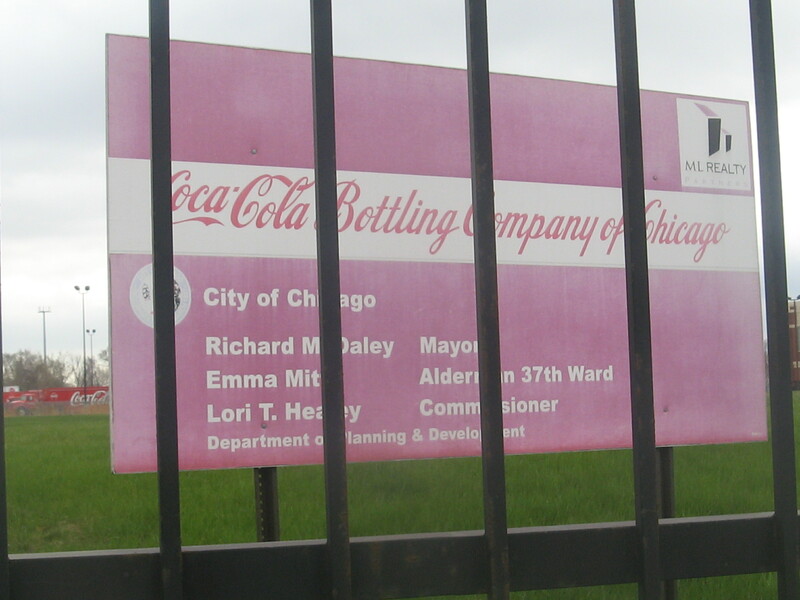 Surrounding her were community leaders, including Barbara West, commander of Chicago Police Department’s 15th district and Rickie Brown, president of the West Side Historical Society. Resident Linda Kelly said it was upsetting but fitting for the community to remember Heaven. Sunday, the last day of the festival, was also a day of worship and featured more live performances. Robert McCottrell, pastor at the New Dimensions Church, 5847 W. Chicago Ave., preached that morning in hopes of reaching more people, Cottrell said. McCottrell said there was a lot to enjoy at the festival. Click here to see what you missed. The grief continues for Austin women whose children were killed in the last year. 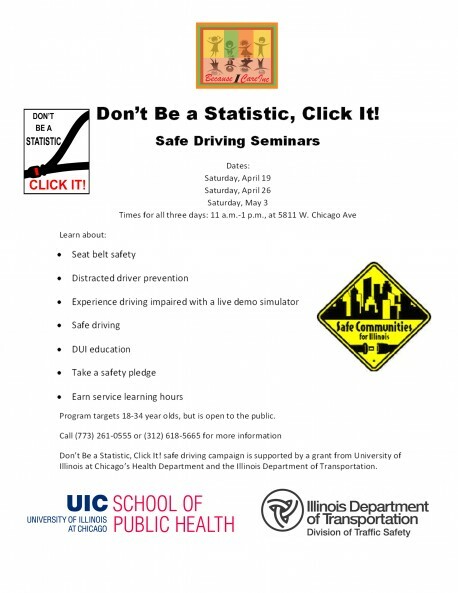 Learn how to stay safe on the road April 19 and 26, and May 3 at the offices of Because I Care Inc., 5811 W. Chicago Ave.
Just one Austin project- the Coca-Cola distribution facility at1401 N. Cicero Ave. - has been completed over the last decade. The three-day event starts June 14 and runs through June 16.